Allow our professional event staff to serve your guests delicious cotton candy at your special event. 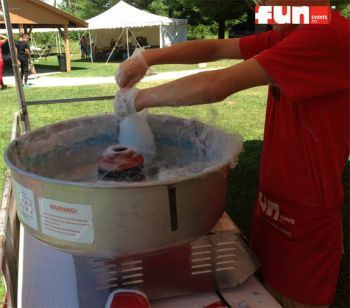 Includes unlimited cotton candy servings for your guests for the duration of the event. Includes canopy booth & serving table.